When Amy and Rory left the TARDIS—and ended up living out the rest of their lives in the past—I felt the need to eulogize them at some length. 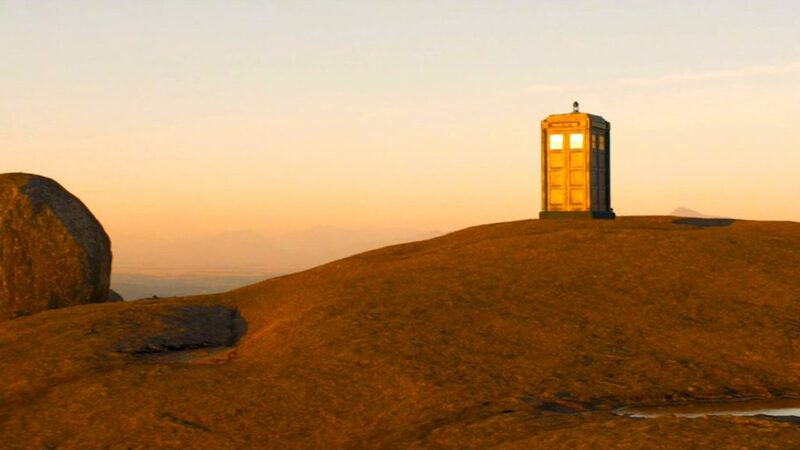 If I’d been writing about Doctor Who when Rose was trapped in another dimension, or when Martha decided to leave, or when poor, marvelous Donna had to have her memories wiped, I imagine I would have lamented their departures as well. So why don’t I feel more mournful now, when the Doctor’s adventures have cost Clara—the longest serving companion of the modern era—her life? I’ve been pondering this since I watched “Face the Raven” and what I’ve decided is that there are a number of factors at work here. First, there is the episode itself. Written by Who-newcomer Sarah Dollard, and directed—much more effectively than last week’s trainwreck—by Justin Molotnikov, “Face the Raven” is not a bad episode of Doctor Who, but it is a curious beast. The basic premise and tone of this episode may feel more Gaiman or Rowling than most Doctor Who, but it’s workable. And I actually enjoyed Dollard’s writing: Clara and the Doctor are written as well here as I’ve seen them—Dollard strikes, for me, a near-perfect, restrained tone for this Twelfth Doctor—and the big emotional scenes that sit at this episode’s heart are lovely and moving. The emotional scenes are the entire point of the episode, so I won’t bother to spend a lot of time discussing whether the plot makes any sense. But it doesn’t, of course: even leaving out Ashildr’s incredibly circuitous plan—the goals of which could have been accomplished with a phone call and a handshake—there are plenty of other breathtaking logical leaps. (How exactly, for example, does the Doctor know to look for a “trap street” in the middle of London? It’s not like humans encountering aliens in London is so unusual: for the Doctor to instantly intuit the existence of a Nocturne Alley here seems awfully convenient.) A lot of elements in the episode—the trap street nonsense, the weird Janus subplot, even the presence of Ashildr—feel like disconnected ideas that were awkwardly sewn together to serve as padding around the main event. The larger problem with the episode—more than content—is structure. It feels like it takes forever to even get to the mysterious street: a full 15 minutes have passed—basically a third of the episode—before the Doctor, Clara, and Rigsy make their way into the entrance. (By the time they ran into Ashildr, I had legitimately forgotten that’s where this was all headed.) This wouldn’t be such a problem if that time had been better used, but it feels largely wasted: with the exception of the scene of Clara dangling precariously—and with disturbing delight—from the flying TARDIS, none of this is important narratively, emotionally, or thematically. Why not spend more of that time on the street itself, exploring its environs and conducting a more substantial and meaningful investigation? Why not, for that matter, give the Doctor and Clara more interactive time together in this, their (presumably) last episode together? But these are quibbles, and they don’t really explain why Clara’s death—though well written, and brilliantly played by Coleman and Capaldi—left me so unmoved. The fault ultimately lies not with Dollard—and certainly not with Coleman or Capaldi—but with the man in charge, Steven Moffat. Because, first of all, I don’t believe it. I do believe Clara Oswald died here, but I no longer trust Moffat to treat death as anything more than a temporary plot device couched in a cheap emotional grab. Rory, Amy, River Song, Dorium, Strax, Danny Pink, the Brigadier, and the Doctor himself have all “died” under Moffat’s watch, only to return in some form or another. Clara has sacrificed herself no fewer than three times before (in “Asylum of the Daleks,” “The Snowmen,” and “The Name of the Doctor“), and the Doctor has thought her dead many more times (most recently in “The Zygon Inversion.”) All of these feints—and the offensively absurd trivializing of the entire concept of death that happened in “Death in Heaven“—make it hard for Moffat to play these cards convincingly. So yes, I believe Clara actually “died” here: that’s probably not a trick. But there is no guarantee—save our external knowledge that Coleman is leaving the show—that it will stick. She is, after all, the Impossible Girl, and we have already seen that versions of her have been dispersed throughout the Doctor’s entire timeline. Does anyone really doubt that we will see another version of her pop up elsewhere, just when the Doctor needs her most? Does anyone doubt that Moffat is leaving this door open for future Coleman cameos? Even this, however, is not the real issue. These things, after all, happen in a sci-fi/fantasy series, and they’re not always a bad thing. If Moffat were to return Donna Noble’s memory to her, for example, it would completely cheapen the emotional devastation of her departure, but I—and most other fans, I assume—would welcome Catherine Tate back to this show with open arms. (I mean, Tate and Capaldi together? C’mon, how great would that be?) And I would welcome Jenna Coleman back as well: she’s a good actress, she brings a wonderful old-school energy to the companion role, and she is—let’s face it—adorable as hell. The real problem is that she—and the character of Clara—deserved much, much better than she got from Steven Moffat. I have written many times before—here and here, for example—about how Doctor Who has ill-served Clara Oswald. I think the creation of the character—and the casting of Coleman—was a deliberate attempt on Moffat’s part to return to a more classic Doctor-Companion relationship structure: the past three seasons have not really been about her arc, they way previous seasons were about Rose, or Martha, or Amy, and there has been much less investment in her life. (We’ve only briefly glimpsed her friends and family, for example, and—unique among modern companions—they’ve never factored into the story in any meaningful way.) Without a lot of emotional baggage—and with allowances for a modern sensibility—Clara is probably the first companion of the modern era who is—as companions like Sarah Jane were—just a smart, brave, plucky young woman along for the ride. She doesn’t love the Doctor enough (“Deep Breath“), or she loves the Doctor too much (“The Caretaker“). 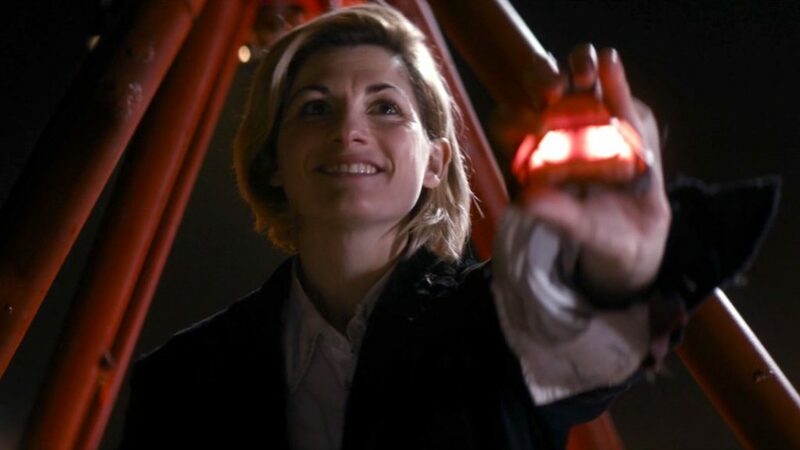 She wants to be like the Doctor (“Flatline,” “In the Forest of the Night,” “Death in Heaven“), she doesn’t want to be like the Doctor (“Kill the Moon,” “Mummy on the Orient Express“). She doesn’t care enough about Danny (“Caretaker,” “Mummy“), until she cares too much about Danny (“Dark Water“). To the Master she’s a control freak who reins in the Doctor; to Danny she’s a mindless soldier who’s under the Doctor’s control. 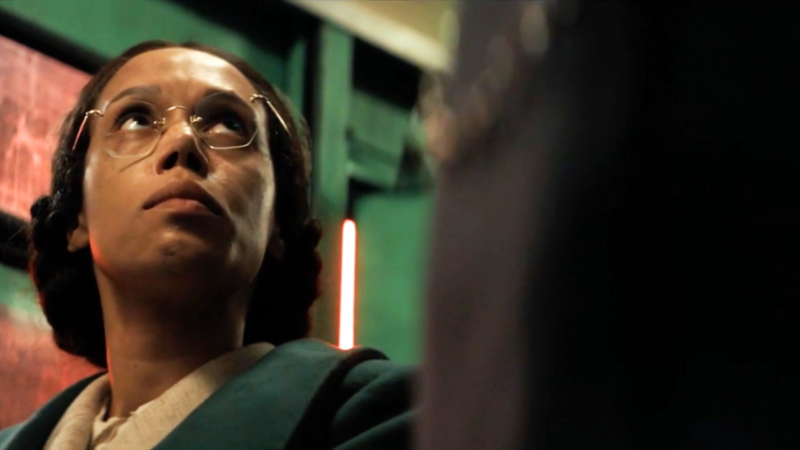 She’s the Doctor’s conscience one minute, and too callous for the Doctor the next. The Doctor has spent this entire season learning that it is selfish and irresponsible to travel with humans: how can he ever invite anyone else to travel in the TARDIS? And yet, at the same time, we know that the Doctor needs his companions as much as—or more than—they need him. Their faith sustains him, and their humanity keeps him from becoming the vengeful god the universe thinks he is. 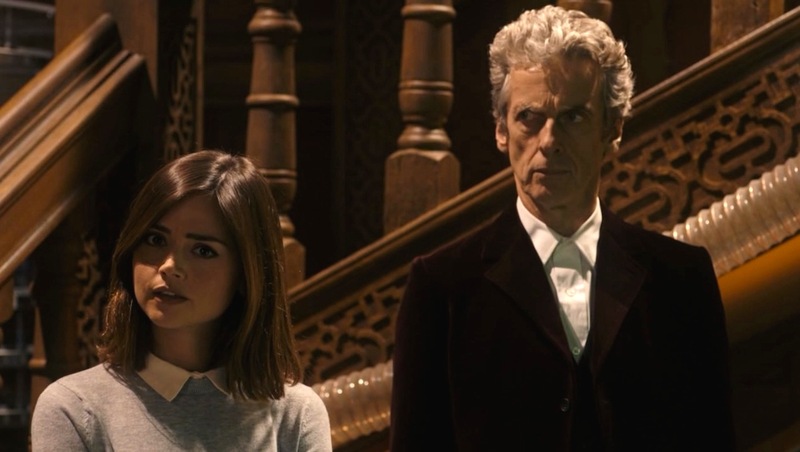 I have neither the space nor the inclination right now to do sufficient justice to the subject of Moffat’s treatment of female characters, but it is frequently problematic and patronizing, and it is this that bothers me most about Moffat’s treatment of Clara, right up until Clara’s end. Say what you will about Russell T Davies, but he wrote wonderful female characters, and his companion-arcs were all about women finding strength and becoming heroes. “You were fantastic,” the Ninth Doctor told Rose, right before he regenerated. “You saved the world,” the Tenth Doctor told Martha, when she left the TARDIS. “She was the most important woman in the whole wide universe,” Ten said of Donna Noble, after he was forced to wipe her memory. Moffat doesn’t do that: his women are emotionally damaged, obsessed to the point of stalkerdom with the Doctor, and unhealthily addicted to him and the dangers he promises. Their attachment to him, and their desire to emulate him, is ultimately seen as a pathology, a weakness, a mistake. The implication is that Clara’s motives were always selfish and slightly shallow—founded in attraction and a thrill-seeking impulse—and it troubles me. It troubles me that both Clara’s turning away from the Doctor last week, and her return to him this week, are both framed as weakness: an inability to handle the tough situations in the first case, and an inability to deal with her withdrawal pains in the second. 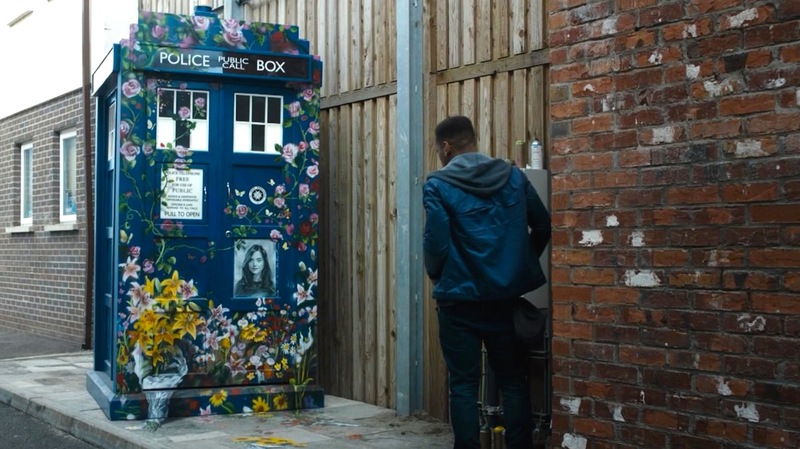 And it makes me realize that Amy Pond’s decision to travel with the Doctor was also presented as a weakness: first as a form of running away from adult responsibility (in Season Five), and then—as it is with Clara here—as an addiction, a thrill-seeking need, an inability to be satisfied with normal life. And it reminds me that River Song’s entire raison d’être was to be with the Doctor, to the extent that she not only built her entire life to find him, but was also perfectly content to be locked away in jail until he sent for her. Is it so hard for Moffat to write a strong, independent woman who wants to go traveling through time and space for the right reasons? After last week, I was hoping that Clara would eventually decide to return to the TARDIS because she realized that she wanted to do good: I hoped she would make a conscious decision to continue not because she was addicted, or damaged, or lovesick, but because she was a hero. But—even leaving out his dismissive reactions to the idea of casting a woman as the Doctor—I’m beginning to wonder if a female hero is something of which Moffat can even conceive. Clara was brave, and Clara was strong, and Clara was smart. But Clara—as much as we’d like to think so—doesn’t die a hero. She is very capable throughout this episode—it is she who figures out the Janus-thing—and she is very courageous in facing her death. But her death does not accomplish anything. 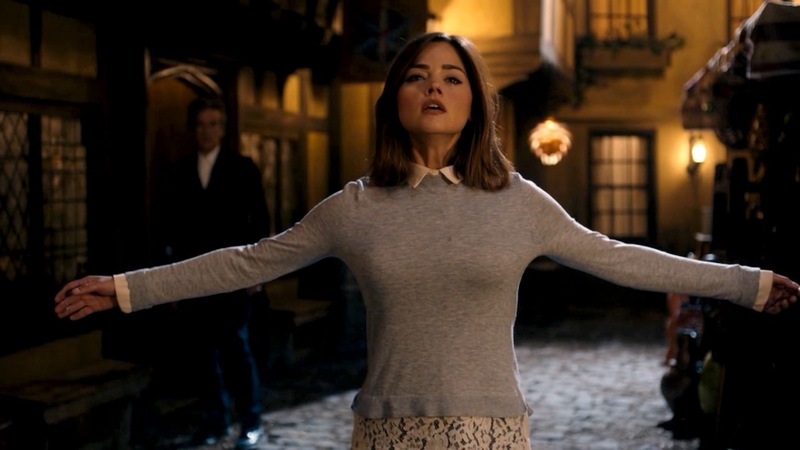 The ending of “Face the Raven” tries to play it as noble that she took Rigsy’s death sentence—so he could return to his family—but the script goes out of its way to make it clear that she never intended to be noble: she was just trying to be clever, and she never realized she was taking any risk at all. And, in fact, the script makes it clear that Rigsy would have been just fine if she’d never interfered: the Doctor would have saved him regardless, with plenty of time to spare. Clara’s death achieves nothing: she’s just a victim of her own hubris. Clara doesn’t get to go out in a blaze of glory. Clara doesn’t get to save the day. Clara doesn’t get to sacrifice herself to save the world, or even to save a single life. 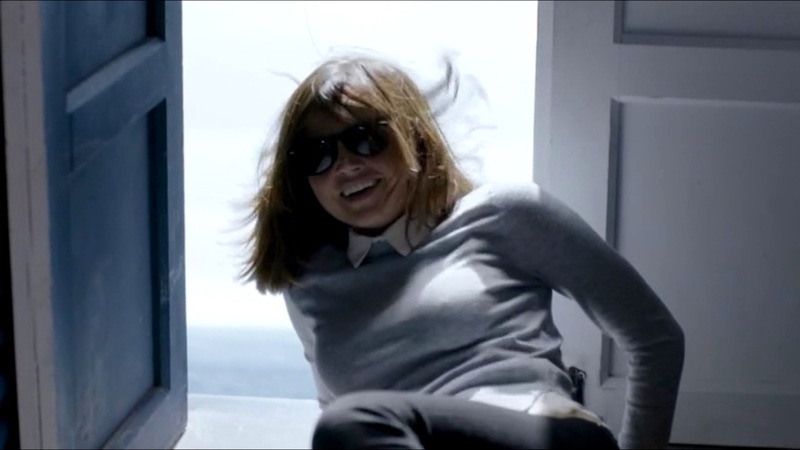 Clara, in the end, is just a silly, careless woman who was addicted to adrenaline and overestimated her own abilities. She thought she could be more than she was. She made the ridiculous presumption that she was clever. She dared to imagine herself a hero. “Why can’t I be like you?” she asks the Doctor, at the end. But no: in the world of Steven Moffat, no woman can be like the Doctor. I want to make it clear that Jenna Coleman is magnificent in these final scenes, and Clara’s determination to stave off the Doctor’s tendency for revenge is noble. (Though even this is problematic: her death, her final monologue, her final gesture of nobility, is all about the Doctor’s character arc, not her own.) But, as good as both Coleman and Capaldi are here, and as genuinely moving as those final scenes are, none of it can make up for the weaknesses inherent in Clara’s character from the beginning, or for the injustices done to her in the end. I wish I could be sad about the death of Clara Oswald, but my reactions are too complicated by anger, and disappointment, and the feeling that this character was ill-conceived from the start. Clara Oswald was the Impossible Girl, and she should have been a hero. But—in the world of Steven Moffat—it seems that being a hero is impossible for a girl.